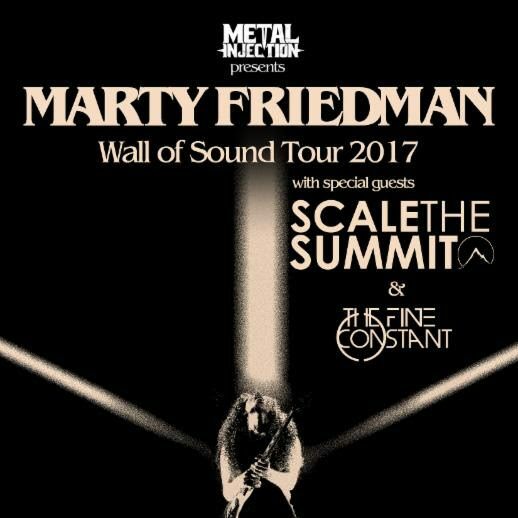 Former Megadeth/Cacophony guitarist, Marty Friedman, will be releasing his newest album, Wall Of Sound, coming this August. Not just that, but he is embarking upon a tour ranging across the United States. The concerts, which begin August 2, will feature guests in the form of Scale The Summit and The Fine Constant. He doesn’t make it over to the States that often, so don’t miss it! The tour dates are below. You can snag your tickets here!